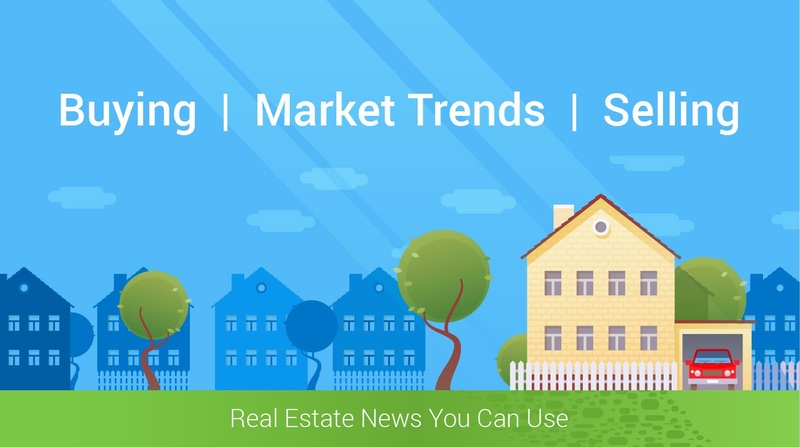 How will rising mortgage rates impact you? For the past 18 months or so, we've been hearing about the possibility of rising interest rates. However, a sluggish global economy had kept rates under 4% up until recently. Since the election, the possibility of tax reform and regulatory relief has created optimism around accelerated economic growth. The 3/4 point rise in mortgage rates since the election reflects this optimism. We can all agree growth is good, but how will rising rates affect the real estate market? First of all, let's be clear that rates are still at historically low levels. Since April of 2010, we have been below 5%. The average rate over the past 30 years is approximately 8.6%. With that said, the days of 3.5% are very likely not to be seen anytime soon (barring a collapse of the economy). In my opinion, rates will likely be volatile for the next 6 months or so as our new gov't takes shape and policies are implemented. But I do expect that we will see a general upward trend where rates may approach 5% by year end. Let's talk specifics as to how that will affect buyers and sellers. The chart below says it all - rising rates generally work against buyers by reducing purchasing power. A basic rule of thumb is that every 1% rise in interest rates results in an 11% reduction in purchasing power. The chart assumes 20% down and a principal and interest payment of $1,600 per month. At a mortgage rate of 3.5%, a buyer could afford a home priced at $445,390. If rates were to jump to 4.5%, that same buyer could only afford a home priced at $394,722 (approximately 11% lower). A slight mitigating factor is that rising rates could suppress demand somewhat. This lower demand could put a lid on price appreciation. This is a very simple illustration as there are MANY factors that go into real estate valuation. Bottom line is that for someone who is considering buying a home in 2017, it makes sense to move forward now to lock in a lower mortgage rate and maximize your purchasing power. Let's start off by saying that sellers rely on buyers (and are often buyers themselves), so the info above is very relevant. In addition, sellers are looking to maximize their net proceeds. The biggest challenge facing sellers will be the tradeoff of their current low rate mortgage for one that will likely be slightly higher on their next home. From a pricing perspective, sellers are still in a very enviable position. Strong price appreciation over the past several years has resulted in a greatly improved equity position. This will likely result in a higher down payment and lower borrowing needs on their next home - mitigating some of the impact of higher rates. Strong demand for housing due to the influx of new residents into Colorado and the continued low inventory situation will lead to additional price appreciation albeit at annual appreciation rates closer to 5-7%. I fully expect us to remain in a seller's market, but strong equity positions and normalizing home appreciation rates could trigger some homeowners to finally get off the fence and make the move they've been thinking about for the last several years.